A Beautiful Planet is a breathtaking portrait of Earth from space, providing a unique perspective and increased understanding of our planet and galaxy as never seen before. 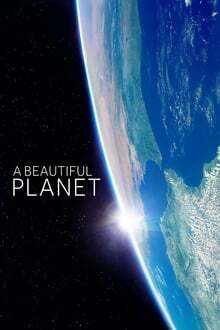 Made in cooperation with the National Aeronautics and Space Administration (NASA), the film features stunning footage of our magnificent blue planet — and the effects humanity has had on it over time — captured by the astronauts aboard the International Space Station (ISS) Exclusive IMAX and IMAX® 3D engagements of A Beautiful Planet begin April 29th. Pray the Devil Back to Hell chronicles the remarkable story of the Liberian women who came together to end a bloody civil war and bring peace to their shattered country. A UFO enthusiast interviews Dan Aykroyd on the subject of extraterrestrials visiting Earth. Journey from the depths of the Pacific Ocean into the far reaches of space on a quest to find something that changes everything…signs of life, somewhere else in the universe….